Romeo Power, an energy storage technology company founded by engineers and designers from SpaceX, Tesla, Apple, Amazon and Samsung, has announced $30 million in seed financing. 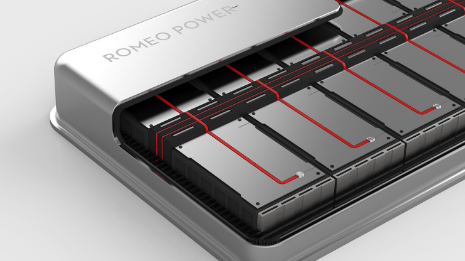 The announcement comes as Romeo Power finalizes the installation of a fully automated 113,000 square-foot manufacturing facility near downtown Los Angeles, and ramps production of its lithium-ion battery packs for electric vehicle (EV) and stationary storage applications. Romeo Power produces modular vehicle battery packs that can be used in cars, motorcycles, trucks, buses, and forklifts. Romeo Power harvests and stores electricity from the grid during off-peak hours for cost savings and use during peak times or outages. Since Romeo Power kicked off sales in 2017, the company has seen $65 million in initial orders scheduled for delivery in 2018. Current contracts and design agreements for the company span across both the U.S. and Europe. “We’ve seen incredible momentum in a short period, and we’re scaling manufacturing as fast as we can to meet demand,” said Michael Patterson, Romeo Power founder, and CEO. The EV market is expected to reach $32 billion by 2020. This estimated figure is subject to growth with recent global mandates to eliminate gas cars which as accelerated the demand for advanced vehicle battery packs that can deliver more energy, range, safety, faster charge times and smaller footprints. “Romeo Power’s pack technology platform delivers on all of these requirements better than any other battery pack available today,” said Patterson.